OH, DEATH ***** WHERE IS THY STING! "Peter M. Darakis is an average young man who has a conscientious outlook on life. He appreciates what people have done for him and likes to return any favors done for him. He attended Amherst High School, being in the upper third of his place, and became a member of the National Honor Society. He was active in the Hi-Y, French and Drama Clubs, Glee Club and participated in the All Ohio Chorus. He was the president of his class in his Freshman and Senior years and class representative the other two years. He participated in sports, but because he didn’t excel, he became a manager of the teams for a more active part. He attended college at Bowling Green State University for two years, majoring in architecture and obtained mathematics minor. He joined the Men's Glee Gunt and became a member of Phi Kappa Alpha National Social Fraternity. He has no special hobbies and is interested in a variety of subjects. He held a part-time job for Fischer's Bros, a large grocery concern, obtaining experience as a clerk. He also attended Standard Oil Co. (Ohio) school for station attendants and worked part-time in the capacity of an attendant. His main interest was construction work. Working with his oldest brother, he learned general house construction, interior finishing work and valuable instruction on contracting. He would like to continue his work in architecture and contracting. He feels that his experience thus far in the Air Force has been valuable." 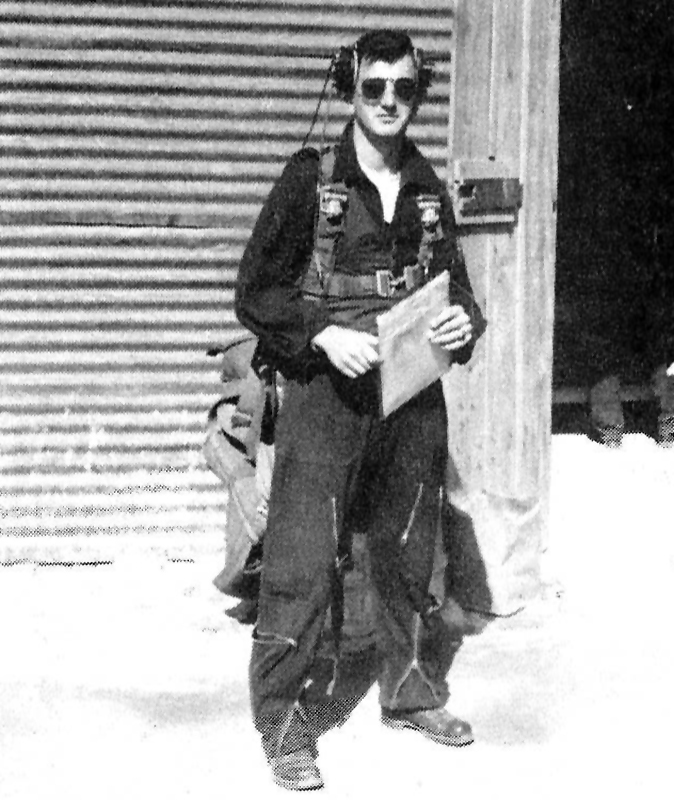 Second Lieutenant PETEP M. DARAKIS has distinguished himself by participating in twenty (20) aerial flights in support of the Republic of Korea and United Nations Forces from an airstrip in Korea to target areas behind enemy lines during the period 15 September 1952 to 13 October 1952, inclusive. 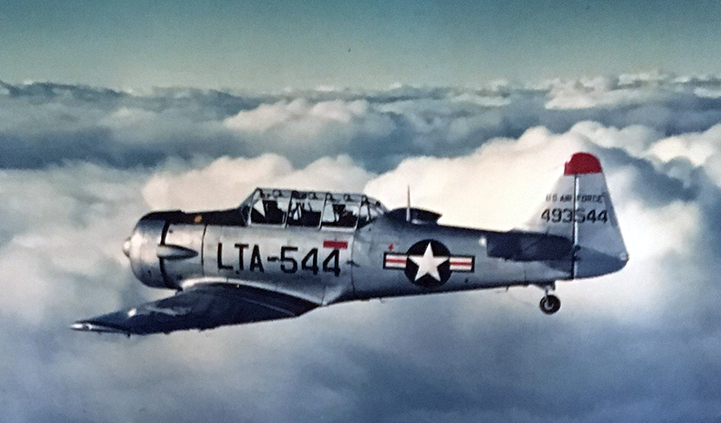 Willingly and with full knowledge of the hazards involved, Lieutenant DAHAKIS flew as a pilot in an unarmed T-6 type aircraft which penetrated areas of ground activity to locate enemy targets and direct close support aircraft. 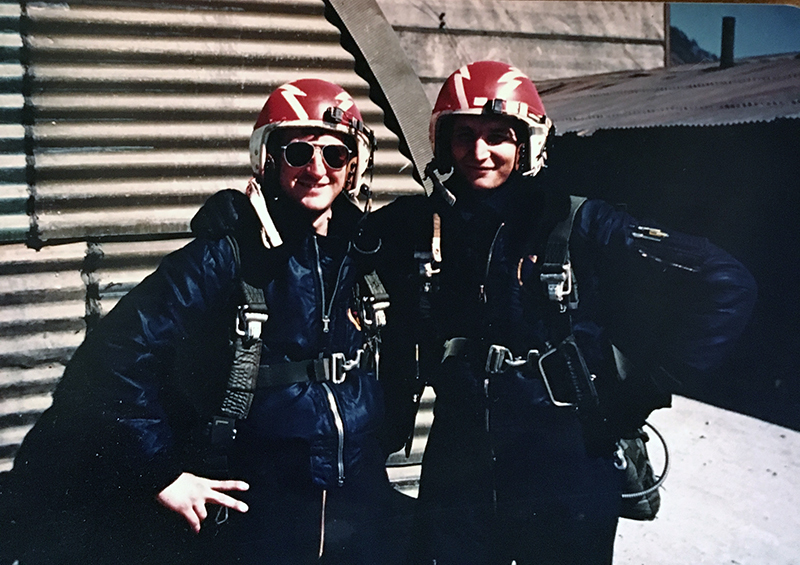 By his courage, ability, and devotion to duty, Lieutenant DARAKIS has brought great credit upon himself and the United States Air Force. Peter played a significant role in his squadron missions and excelled in some of them as his Distinguished Flying Cross citation writes. Second Lieutenant PETEP M. DARAKIS has distinguished himself by extraordinary achievement while participating in aerial flight as a pilot of an unarmed T-6 type aircraft, 6147th Tactical Control Group, Fifth Air Force, on 20 October 1952. 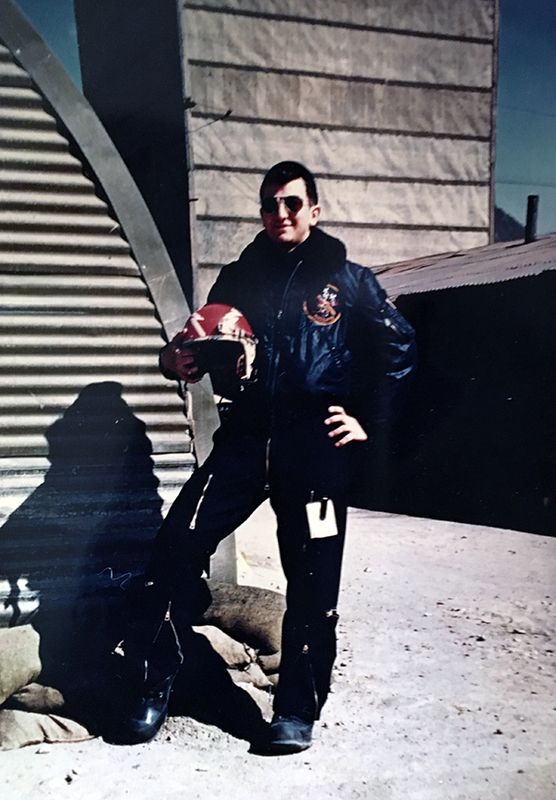 While on a tactical mission near Kumhua, Korea, Lieutenant DARAKIS expertly directed three flights of fighter-bomber aircraft, in an attack on an enemy troop concentration and assembly area. After making, a low altitude reconnaissance of the target area, Lieutenant DARAKIS contacted the fighter-bombers and completely led them over the target. Despite enemy automatic weapons fire, he remained over the target area, and accurately directed the fighter-bombers on their attack runs. Lieutenant DARAKIS skillful direction resulted in one hundred yards of trench damaged, one fire, eleven bunkers damaged and three secondary explosions. By his high personal courage, outstanding professional ability and devotion to duty, Lieutenant DARAKIS reflected great credit upon himself, the Far East Air Forces and the United States Air Force. "Pilot and observer took off on a routine tactical reconnaissance mission at 0610 hours| 10 Mar 53. They checked in at Acme Control at 0625 and acknowledged control's "negative traffic" transmission, at this time the controller at acne observed a T-6 type aircraft passing mosquito-transmitted cloud layer heading north· At 0630 hours the mosquito transmitted the weather to mosquito to a sup and this transmission was received, verified and acknowledged. This was the last known transmission· At 0645 hours, an Army observer Pfc. C.E Barkey, US 55226766 at US Flash OP No 2-(CT994449) (code name Teepee) saw a machine gun firing in the vicinity of DT 0153 coordinates. He then stated he saw a single engine prop type aircraft burst into flames and crash with an explosion at approx DT 012534· He saw no abates or other details other than smoke due to the distance and poor visibility· He was unable to identify the type aircraft with any certainty. Two nearby OP observers were able to confirm crash location by smoke but did not observe any ether incident or further action. At 0750 hours, Toes Up ground had reported a plane crash to Mosquito Toss Up and they attempted to contact all Mosquito in the air with the result of all planes checking in except Acme 1 which was flown by Lt Darakis. Prior to this, all ground stations in the area, had been alerted and tried to contact Acme 1 but without success. SFC Price was observer of Acme 1. At this point, Mosquito Toss Up directed Marlin 1 to proceed to this area to attempt to contact or find Acme 1. Marlin 1 was later joined by Acme 2 in the attempt, but neither was able to make reconnaissance at the coordinates given due to low ceilings and visibility in the crash area. Ground search was prohibited by the depth of the crash behind enemy lines. From this time a search was continued by special Mosquito missions to the area but because of weather, the crash area was unsearchable · All ground around the area and the routes between Κ-47 and the control area were searched with negative results· (Grayish smoke from the or ash area was sighted up to 0930 hours by Marlin 1 and Acme 2, but this was the only sign visible to any of the searches. Guard channel was monitored for any possible transmission of Pilot during the search with negative results· At 1030, the search was discontinued due to intermittent scud layers and cloudy, hazy weather. As it has not been ascertained that the downed aircraft was definitely an LT-6, type, and because of location of crash union made it impossible for ground search to recover possible remains, it is my sincere belief that Lt P. M. Darakis and SFC Forrest L. Price should be continued to be listed in MIA status· Hazardous weather conditions prevented a thorough search on the first day, but the following day,' all Mosquito type aircraft that searched the coordinate were unable to sight wreckage or any other significant substantiation of crash." Originally listed as MIA, his status was changed one year later to presumed dead on March 11, 1954. Peter was just 24 years old. His family has always held out hope that some evidence of life or death would be discovered, but as of 2018, no evidence has been found. 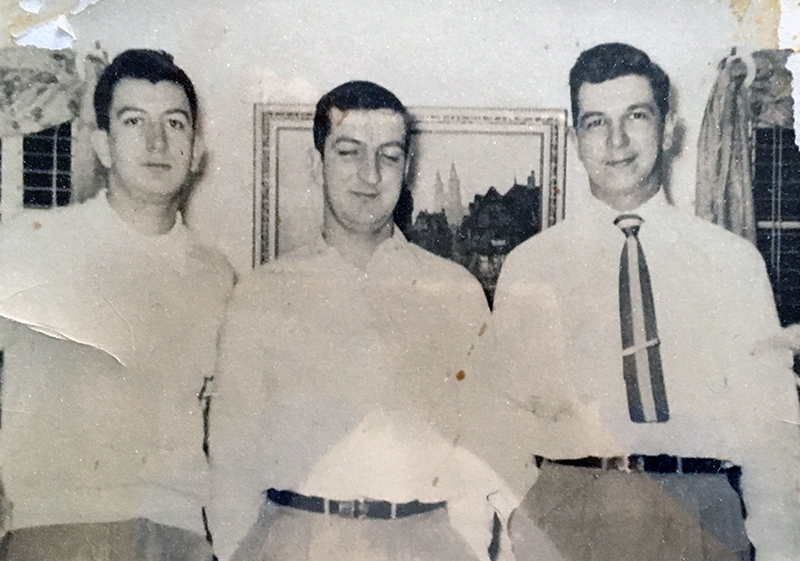 We ending this tribute with his niece, Jane Darakis Rinto words: Peter Darakis was one of many brave men of Greek heritage who fought in one of the many wars that have involved the United States. Although I never knew him, because he was became missing before I was born, I know he has been loved and missed by his family for the past 65 years. 1. Dimitrios Vassilopoulos correspondence with Jane Darakis Rinto.